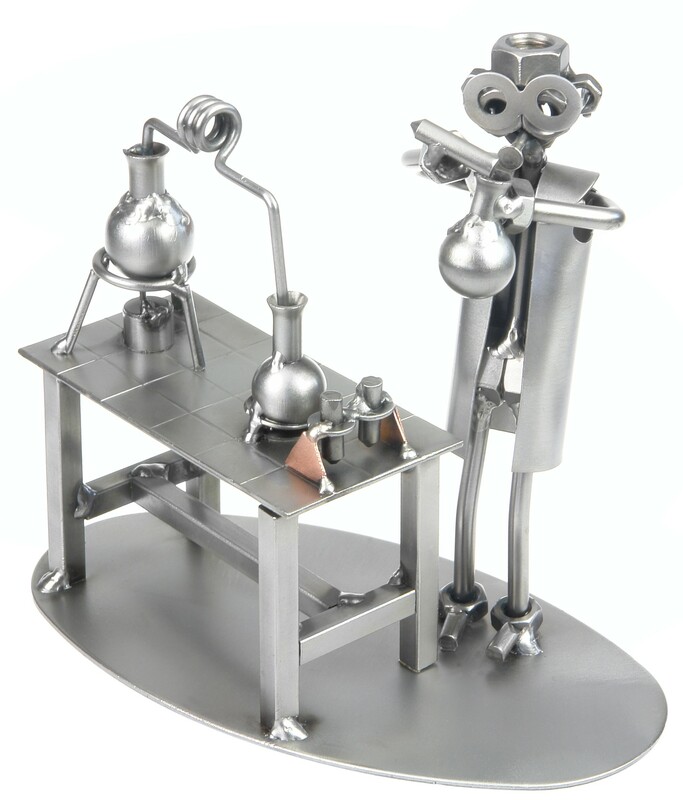 A metal chemist figurine conducting his latest experiment. Will it be a success? A funny present for chemists, chemistry teachers, lab workers and those who simply like chemistry.